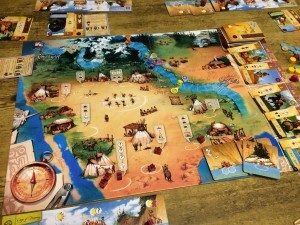 Lewis & Clark is a game about the famous explorers’ journey across North America and the players race along the route from St Louis to Fort Clatsop (on the Pacific coast) which is a sequence of river and mountain spaces. The winner is the first player to make camp at Fort Clatsop. 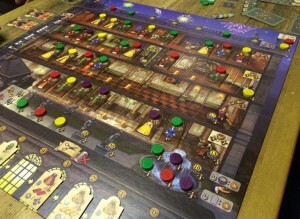 Players have characters (cards) and Indians (meeple) which they use to take actions which earn resources and, ultimately, advance their scout. Each player starts with a board showing several boats (and they can gain more) which is where they store their resources and Indians. The boats limit how much a player can carry but they have another important role/effect too when it comes to making camp. 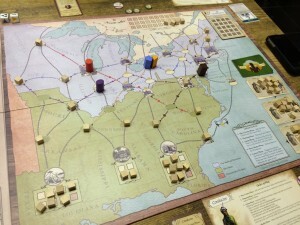 Freedom: The Underground Railroad is a co-operative game of freeing slaves in 19th Century America. The board shows the Eastern United States with routes between cities. 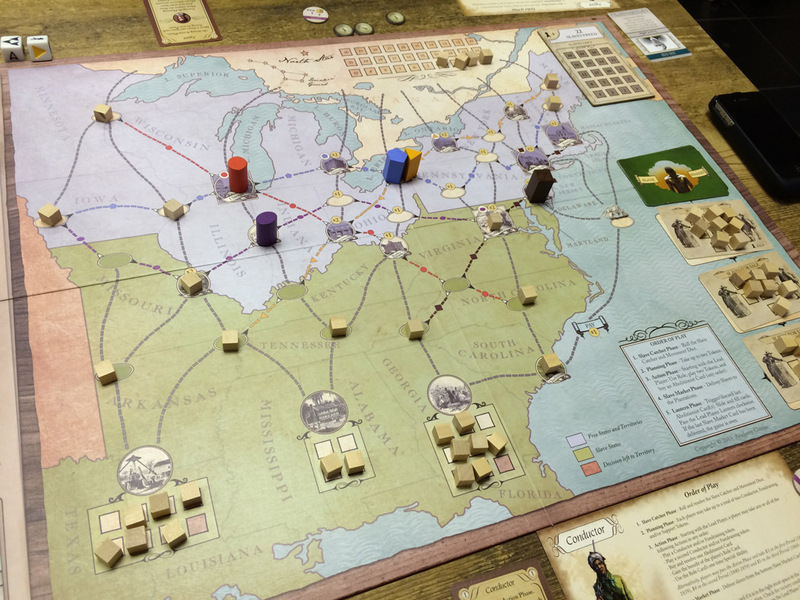 Slaves (represented by cubes) start in the 3 plantation areas in the South and players try to move them across the States to freedom in Canada. There are also 5 different coloured/shaped slave catchers on the board who move along their own paths (primarily running East-West) throughout the game.